With this being said, ﻿a smile comes to me and I picture my dad. 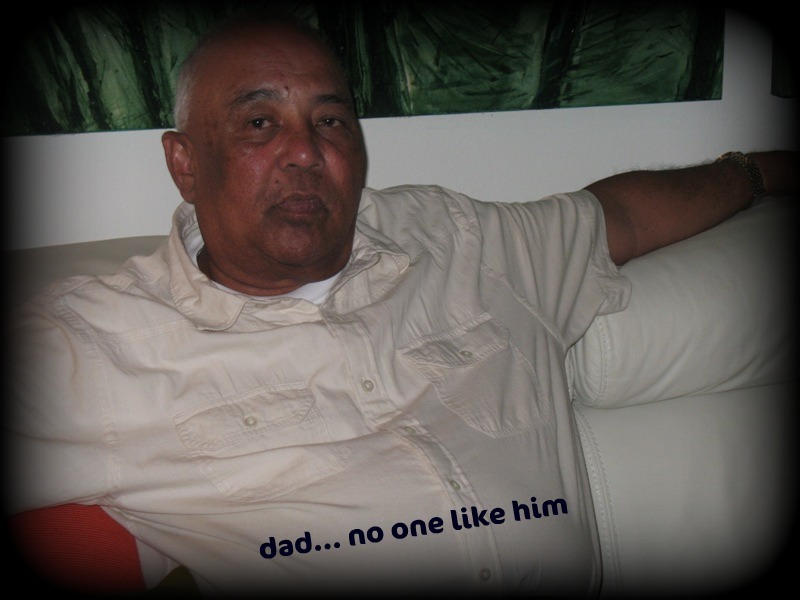 My dad is not a part-time dad, he is always there for us even if we live hundreds of miles apart....you can say he lives to be our dad. 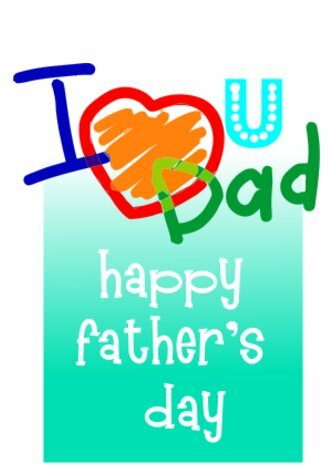 I cannot recall a time when I have needed my dad and he was not there for us....for so many it is so easy to become a father than to be one...but my dad takes pride in being our dad. He has been there through good and bad and still is. 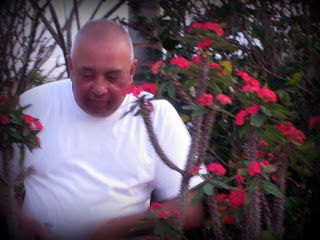 I know that no matter when, where and how, if we need him he is there...for my dad family is first and always has been. Growing up I have so many memories of him as a child. The first 4 years of my life was spent with my mom and dad. The next 5 years we were raised by my grandmother in Guyana, but my parents were always in my mind. Looking for a better life for all of us, my mom and dad "left' us in Guyana and went to America as we called it back then. I was only 4 years old, but I missed them everyday and I looked forward to their yearly trips every Christmas always hoping we would be able to go home with them. for as long as I live I will never forget those days.. When we finally left Guyana to be with them, it was one of the happiest days of my life because you see we got to be with mom and dad EVERYDAY after that. We did not have much as far a money goes, but what we lacked in that department we made with love. As they say a truly rich man is one whose children run into his arms when his hands are empty...my dad's arms are always open for us. My dad was and still is the most liked man in the neighborhood. He was and is kind to everyone he meets. All of the little kids loved him because he would always buy them ice-cream from the man that came in the bus. The grown ups love him because he is Mr. Friendly. Making friends is just his nature...a quality I believe all of his 5 kids have inherited....and it seems his grand kids as well. Being a parent is not an easy job...I have no kids, but I see my sisters, friends, parents and others and I realize that it takes lots of work and sacrifice and even so you never know how they will turn out. Fortunately, we turned out OK even if I may say so.